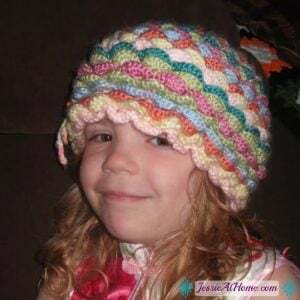 This amazing hat not only looks super cozy for the winter, but it’s also got a nice flowery look to it. The sizes available include baby to adult sizes. The pattern calls for Bernat Softee Baby yarn and a 3.5mm crochet hook.